As the name suggests, the living room is where we live our lives. And when you’re choosing living room window treatments, it helps to think about your lifestyle. Is the living room where you go to read? Watch TV? How much do you like to entertain? Do you host formal dinner parties or casual game nights with friends? Is light control or energy efficiency a concern? Whatever your particular need, you’ll find many living room blinds and shades that are as fashionable as they are functional. 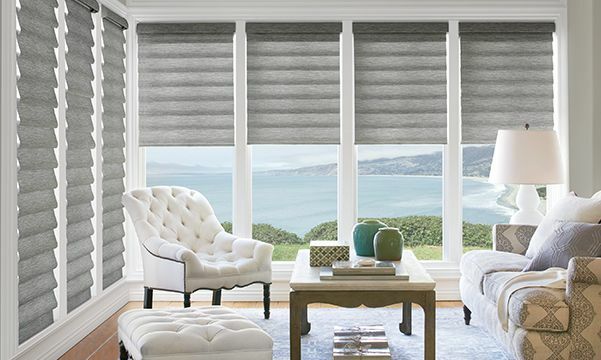 The great thing about Duette shades is that they come in so many pleat sizes, colors, patterns, textures and opacities that they’ll work with any living room décor. You can even combine two fabrics on the same shade for more light control. Or choose the Top-Down/Bottom-Up option that lets you operate your window shades from the top down, bottom up or anywhere in between to enhance your views while still maintaining your privacy. For a soft, elegant look in your living room, Roman shades are a modern and clean-lined alternative to traditional full-length draperies. Plus, they’re an excellent way to add visual interest if your living room has a lot of whites and neutrals. Vignette® Modern Roman Shades, for instance, feature luxurious colors and textures in a wide range of styles and fold sizes. You don’t have to stick to solar shades for UV protection though. Virtually all Hunter Douglas shades, blinds and shutters filter at least 75% of the sun’s rays when installed over double-glazed glass windows. 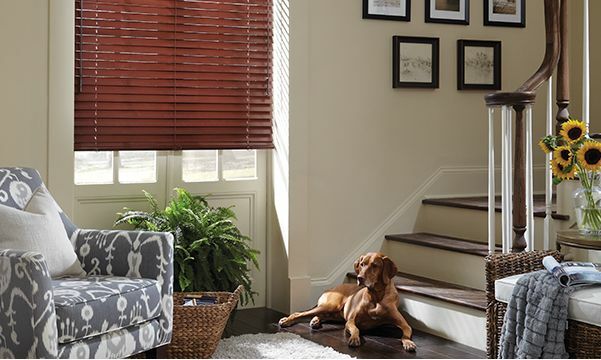 Like premium furniture for your living room, shutters offer the timeless beauty of rich hardwood. And what’s nice is that they look just as gorgeous from the outside of your home as they do from the inside. Besides that, they’re very durable and provide great sound absorption and energy efficiency. 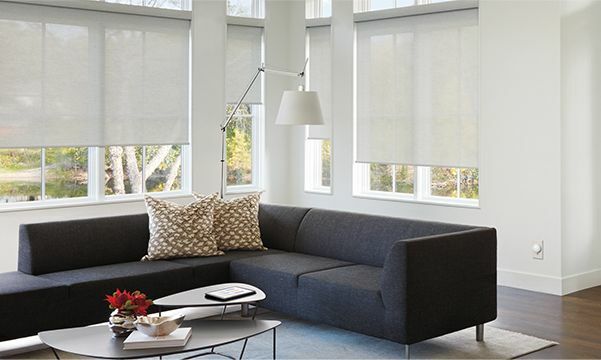 While you could go with shades, blinds or shutters for your living room, don’t feel like you have to limit yourself to just one window treatment. 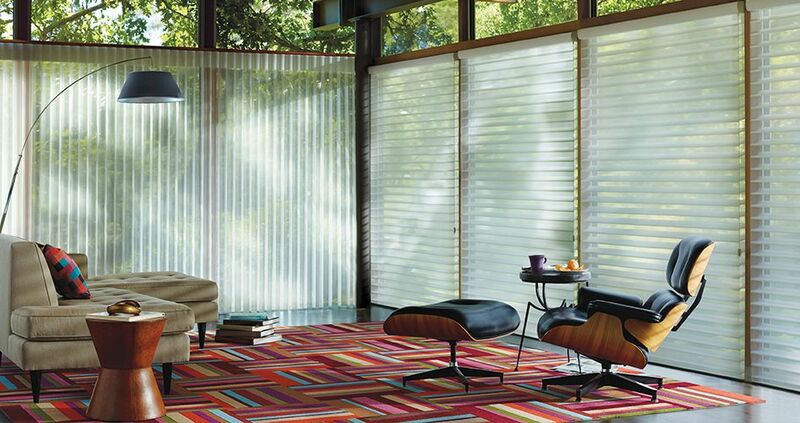 Draperies can add layers of texture when combined with blinds or shades. There is also a wide variety of top and bottom treatments, decorative tapes and coordinating fabrics that can help create a seamless look throughout your living room.